The Renault Kwid MPV is speculated to launch in India sometime during the second half of 2019 measuring under 4-meters and competing against Maruti Ertiga. Sometime next year, likely during the second half, Renault India is going to launch a KWID based budget MPV in the Indian market. The interesting thing to note here is that it will measure under 4-meters in length to enjoy the tax benefits. With prices expected to start from INR 4.5 lakhs, it will compete in the segment of Datsun Go Plus with top-end variants offering a challenge to Maruti Ertiga to some extent. It will offer a decent equipment list and safety kit as well. The third row of this budget compact MPV will be best suited for childer only. Here is all that you need to know about it. There is, at present, quite a wide gap between the Kwid and the Duster. The upcoming Renault Kwid MPV and compact SUV will plug these gaps to enhance the company’s market presence. Currently, the small MPV segment comprises of two models – the Maruti Suzuki Ertiga and the Mahindra Xylo. There are good chances that prices of the upcoming Kwid-based MPV will undercut those of both these models. This should help the upcoming MPV enjoy a free run of sorts Details are pretty scarce at the moment. However, we have tried to put together all the available information on the upcoming model in our report here. Well, it is really a bit too early to speculate on an exact launch date. We are yet to hear an official word from the company on the launch timeline. However, many speculations that abound the web space state that the new model is at least a year away from its market debut. However, nothing is official at the moment. 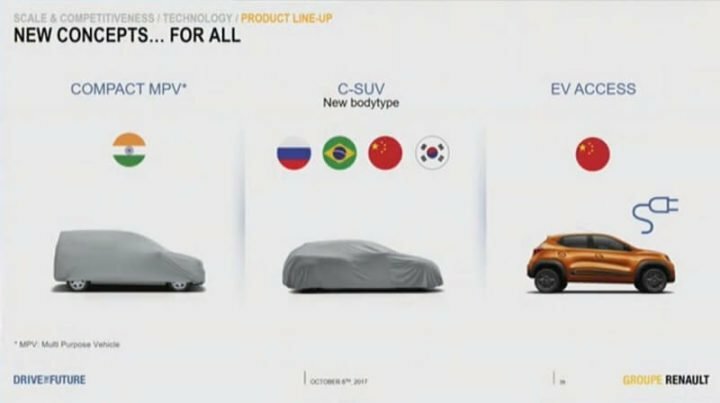 That said, you can safely watch this space for official details on the Renault Kwid MPV car launch date. The Kwid MPV will be cheaper than both the Ignis and the KUV 100. Prices of the new MPV will start around Rs 4.4 lakh mark. The top-end model will cost roughly Rs 6 lakh. A competitive pricing like this will be achieved through a high amount of parts sharing with the Kwid. It will be based on the same low-cast CMF-A modular platform that underpins the popular sub-compact hatchback. Powering the upcoming Kwid MPV will be the same 1.0-litre SCe three-cylinder petrol engine that powers the 1.0-litre variants of the entry-level hatchback. We feel that there won’t be a huge weight difference between the upcoming SUV and the donor hatchback. Hence, the current three-pot motor should suffice. There are chances that Renault India might re-tune the engine to make up for the slight gain in weight. Currently, for the Kwid 1.0-litre model, this low-displacement engine produces a maximum power of 67 BHP along with a peak torque of 91 Nm. Akin to the hatchback, even the upcoming Kwid SUV will offer two transmission options – 5-speed Manual and 5-speed AMT. As the specs will be highly similar to the Kwid 1.0, even the mileage will be largely the same. A reasonably high fuel mileage is definitely one of the biggest USPs of the Kwid and even its MPV version will be frugal enough. While the addition of weight will have a negative effect on the mileage, there won’t be a huge decrease in the efficiency. Currently, the Kwid 1.0 offers an ARAI-certified mileage of 23.01 kmpl with a manual transmission and 24.04 kmpl with an AMT. The upcoming Renault Kwid MPV car will be a low-cost, low-frills model. Hence, it won’t be a great idea to expect a really long list of features. That said, the upcoming model will offer all the comfort and convenience features that are available on the top trims of the Kwid 1.0. Also, safety features are likely to include ABS and front airbags. The new sub-4 metre MPV will look a lot like a slightly larger Kwid. In fact, the front-end could be bog similar. The side-profile, however, will look significantly different, mainly after the B-pillar. This will be owing to the increased overall length and an MPV body style. Much like the Kwid, the upcoming MPV will enjoy a considerably high ground clearance. The rear-end be also somewhat different. While bits like the rear windscreen and tailgate might be carried over from the hatchback, there will be enough newness on offer. Much like the exterior, even the interior will look similar to that of the Kwid. It’s very likely to have a similar dashboard with an all-digital speedo cluster. For the Kwid MPV, the company will offer a tachometer. The centre-console will sport a 7-inch touchscreen infotainment system. The centre stash will have piano-black trim. Further making the interior look more premium will be chrome garnishing around the aircon vents. The steering wheel will be the same sporty unit that the Kwid offers. The seats will enjoy a higher quality fabric. The upcoming new Renault Kwid MPV car will have the same 1.0-litre three-cylinder, naturally-aspirated petrol engine that powers the Kwid. This DOHC engine produces a maximum power of 67 BHP along with a peak torque of 91 Nm. There will be two transmission options – a 5-speed Manual and a 5-speed AMT. The engine might see a re-tune for the new MPV version. This will be done to make up for the slight addition in weight. Are you waiting for the launch of the new Renault Kwid MPV? 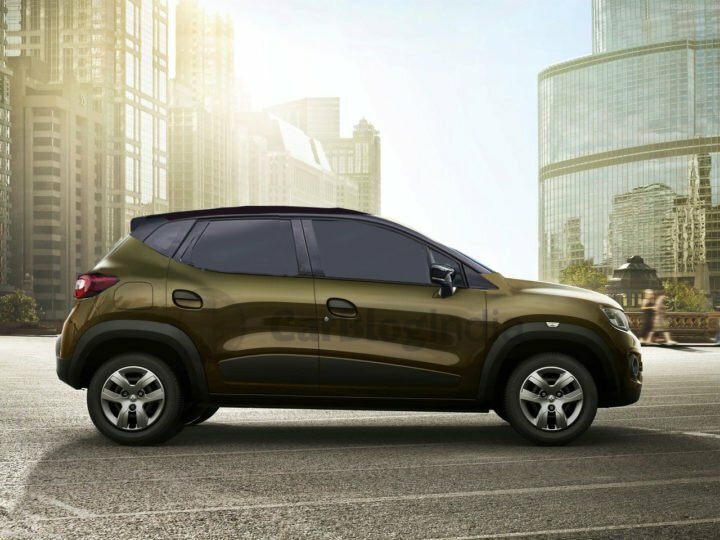 What do you think should be the price range for this upcoming Renault model in India? Share your views with us by pinning them down in the comments section below.